The bold colors of Ant immediately capture the eye, inviting you to get lost in its details. 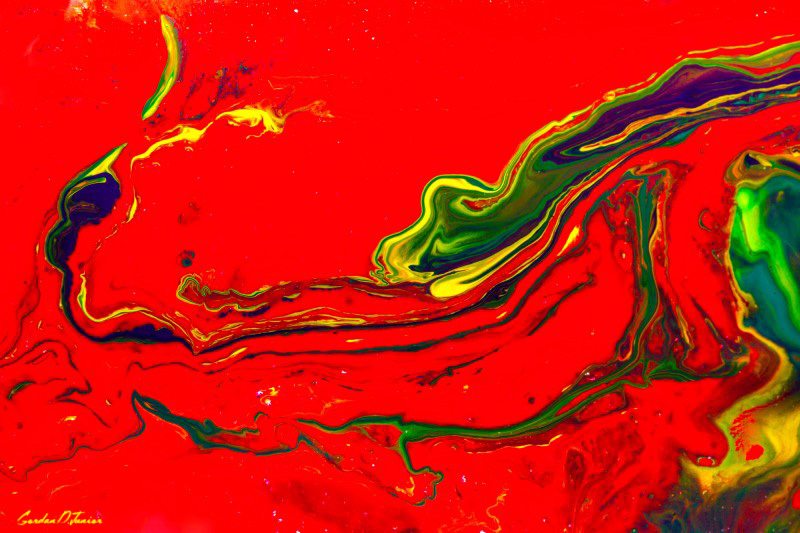 The paint pouring technique employed by artist Gordan P. Junior created trails of green, yellow and purple against its brilliant red background. As you study the horizontal art composition, you can begin to imagine an army of ants, forming a winding line to return food back to their nests in the streaks of color that swirl throughout the piece. Originally produced in acrylics on canvas, Ant is a visually stunning print that is sure to enliven any interior. View the print options and order today. 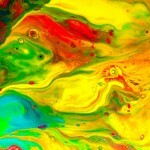 Ant – Colorful abstract acrylic painting created in paint pouring technique. 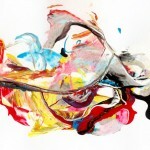 This acrylic painting on large canvas is a part of Abstract Paintings Collection by Gordan P. Junior. Horizontal art composition with red and green as dominant colors.